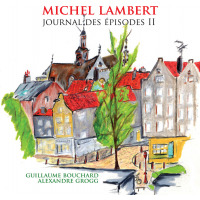 Montreal-based and conservatory-trained percussionist Michel Lambert conceived the suite on Le Passant as a conceptual conflict, pitting a chamber orchestra against a small group of jazz improvisers. 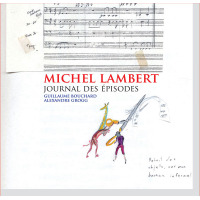 In the liner notes Lambert describes the piece as more struggle than collaboration, an argument as opposed to discussion, improvisation versus composition. The first half of the recording embodies this aesthetic at its most combative, with the improvisers weaving in and out of the massed ensemble. Sometimes they struggle to be heard over the orchestra, while at other times they find themselves abandoned completely, soloing a capella. The principal improviserstenor saxophonist Ellery Eskelin, bassist Dominic Duval, and violinist Malcolm Goldstein, plus the leaderare all masterful stylists. Eskelin's throaty tenor wails mournfully, spinning phrases of circuitous abandon. Duval's sinewy bass playing is a thing of beauty; in this unfettered context his pizzicato work is astonishing in its forthright melodicism. The inverse is true of Goldstein's violin playing, which is vociferous in its texturally dissonant intensity, all rasp and scrawl. The leader's contributions are sensitive, never overly bombastic, favoring an experimental tonal palette of bowed cymbals and rattling chains mixed in with his more conventional trap set thrashings. The chamber orchestra is at times lushly impressionistic, at others thoroughly modern. Eliciting the haunting strains of Ligeti and Penderecki at their most restrained, Varese at his most overwrought. Harsh, grinding strings lament fitfully, bassoons sputter guttural musings, a piano stammers out angular lines, a harp shimmers with glassy undulations, and tympani rumble ominously while mellifluous horns drone in the distance. Lambert utilizes the chamber group sparingly, never allowing it to totally overwhelm the soloists. 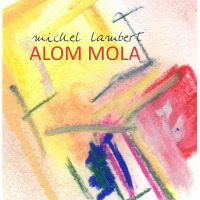 There are no victors in Lambert's visionthis conceptual conflict has no resolution, only a truce. The five-part title suite contains a number of moods and textures. Improvisers pair up and drift apart, taking turns as the ensemble converges on occasion to state a theme or challenge the soloists. The album concludes with a series of short improvisations, mostly duos, until the big finale, which features the entire orchestra and soloists in full bloom. Joining Waltz Again, David Murray's recent quartet with strings album, and Taylor Ho Bynum's unclassifiable SpiderMonkey Strings ensemble debut, Other Stories (Three Suites), Le Passant is one of 2005's best examples of avant-garde classicism. Blending late 20th Century classical string writing innovations in polytonality with small group jazz improvisation, these three albums show that the dreaded phrase "jazz with strings" needn't be muttered under one's breath. Dense and challenging, Le Passant offers complex and rewarding music for those with an ear towards the future of the third stream. Track Listing: The Wanderer: Mirror of Truth; Eternal Errant; Labyrinth of Remorse: Spiritual Shock; Pilgrimage of Humankind; Improvisations: Running in the Cave; Quib; Extracting Lines; Pretend Make-Believe; Ruffians, Riffraff and Ruffs; Lost Passengers; Cue 9-3, Recalling the Wanderer.